We would not do that if not constant questions of our users. To make them able to conduct this research themselves (and test other things as well), we are writing this article. In former times astronomy and astrology where one field of study. It was only during the 18th and 19th centuries that these two disciplines have become separated. But at Rosecast.com we listen very much to what astronomers have to say. In 2006 astronomers have denied Pluto “planetary status” and have “downgraded” him to a so-called “dwarf planet”. Leading this movement was one astronomer from California with the name of Mike Brown. He discovered several small planets with similar qualities than Pluto. His discoveries earned him the nickname “Pluto Killer” among his colleagues. In 2006 astronomers denied Pluto “PLANET STATUS” and downgraded him to a “dwarf planet”. There are currently 5 official “dwarf planets” recognized by the International Association of Astronomers. Four of these official dwarf planets are “Outer Planets” with a revolution of far more than 100 years: PLUTO, ERIS, MAKEMAKE and HAUMEA. At Rosecast we have recently made a fundamental DISCOVERY: Next to SATURN, NEPTUNE, PLUTO and the SUN - ERIS, MAKEMAKE and HAUMEA are the MOST IMPORTANT PLANETS when it comes to forecasting IMPORTANT STOCK MARKET LOWS and periods of financial crisis. 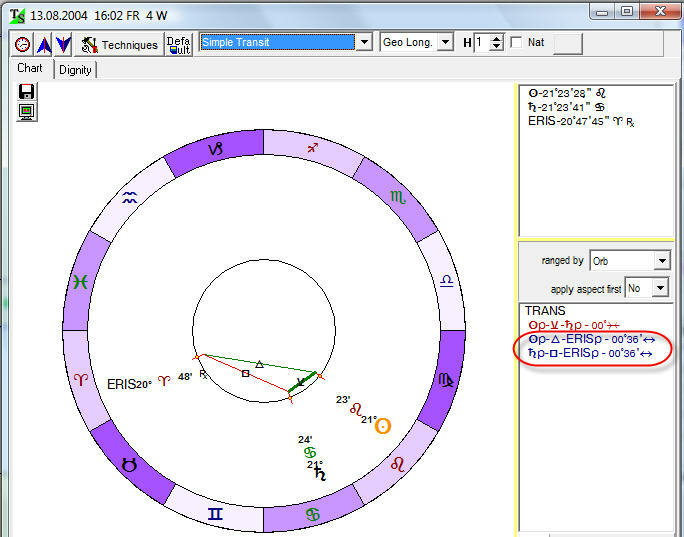 Or in other words Eris, Makemake and Haumea qualify alongside Neptune and Pluto to form a ROSECAST BEAR ASPECT. 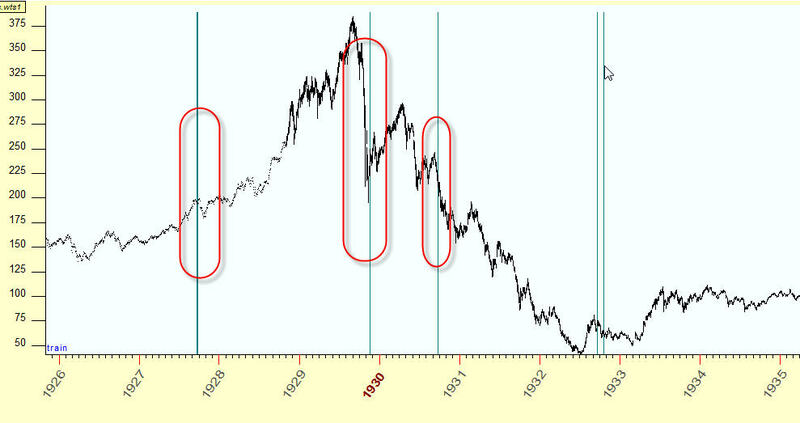 We will now look at two very important stock important lows, the low of 2004 (that was followed by a 3 year rally into the 2007 high) and the low of 1990 (Oil shock, most important low of the last decade 1990-1999) and see whether we can find a ROSECAST BEAR TRISPECT of the SUN at each of this lows. 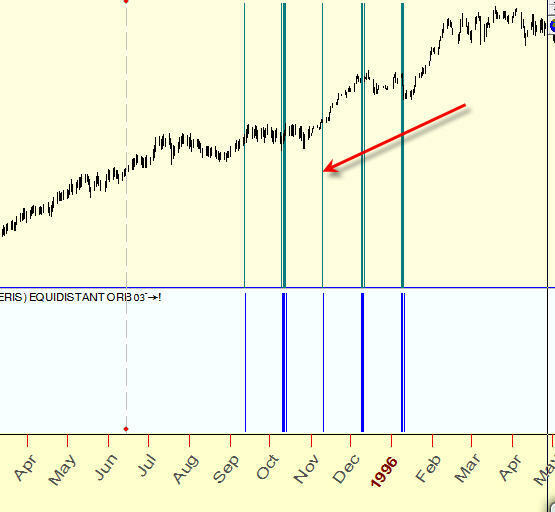 August 13, 2004: Stock Market LOW of the YEAR 2004. 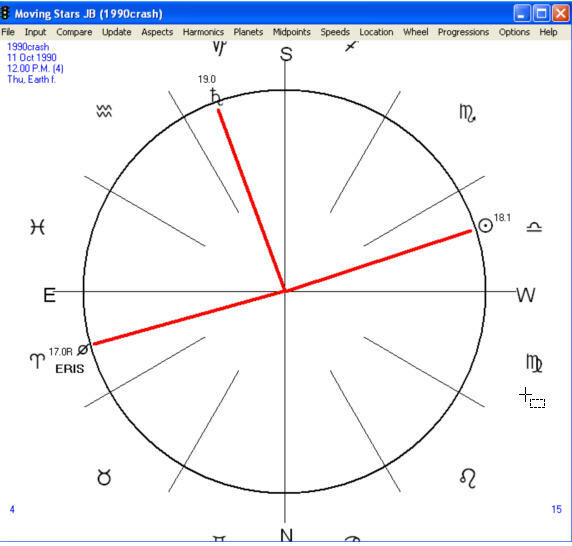 BEAR ASPECT: Saturn is 90 degrees to ERIS with an orb of 0.6 degrees. The SUN makes a 30 degree aspect to Saturn and a 120 degree aspect to ERIS. 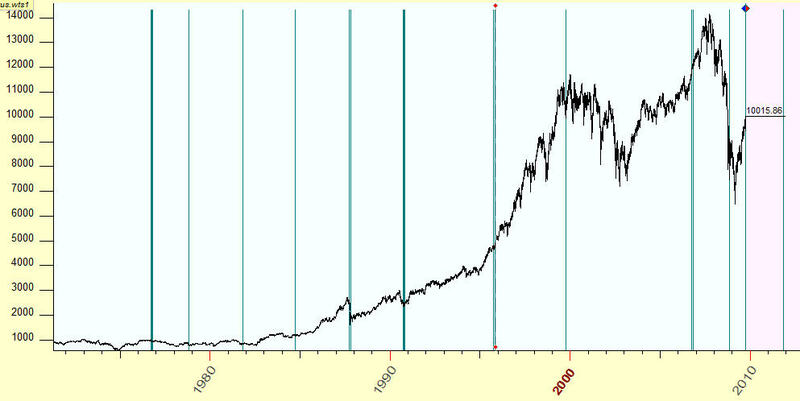 October 11, 1990: Stock Market LOW of the YEAR 1990 (KUWAIT CRISIS). 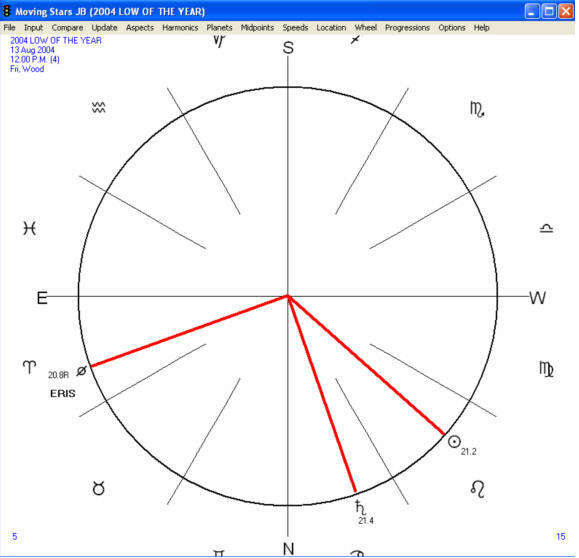 BEAR ASPECT: Saturn is 90 degrees to ERIS with an orb of 2 degrees. 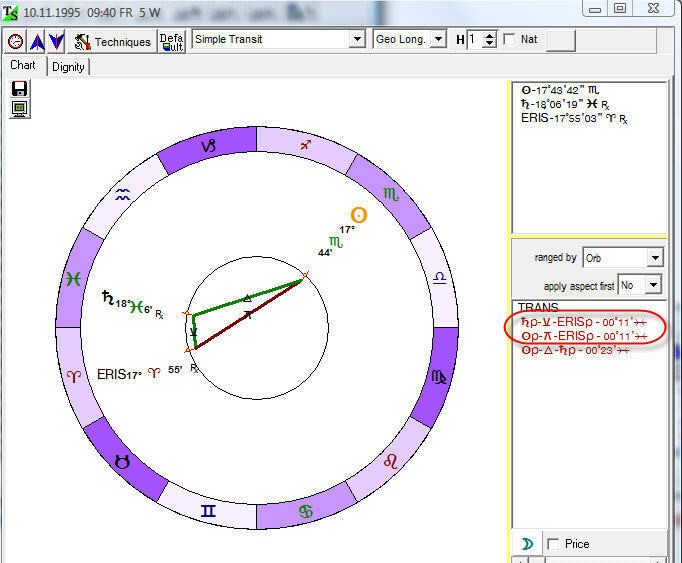 The SUN makes a 90 degree aspect to Saturn and a 180 degree aspect to ERIS. Notice that the Sun moves about 1 degree per day while ERIS and SATURN are almost not moving from one day to the next day. Therefore only on this very day the SUN was at the same distance (the exact middegree - Sun 18, Eris 17 and Saturn 19) from Saturn and Eris. The question is: can we rely on these results? As you see the "Key" planet here is Eris; it affects both, the Sun an Saturn, with the same orb. You see that this aspect really hits important moments in the stock market history: 1997, 1990, 1999, 2002, 2008 But there are a lot of moments as well when nothing happened. You do not need to be a statistics or math professional here, just use your common sense, nothing else. Try to imagine the investor who received these alarm signals about important moments coming. What will this investor tell you? ... Yes. That is correct. He/she will ask you how do you know what alarm signal is important and what is not so important. He/she receives enough scary stories on TV. I do not want to make an impression that these aspects do not work at all, the preliminary results look promising, but definitely some way has to be found to sort these events. It was just an idea, a first step to rectifying a big amount of TRISPECT signals. 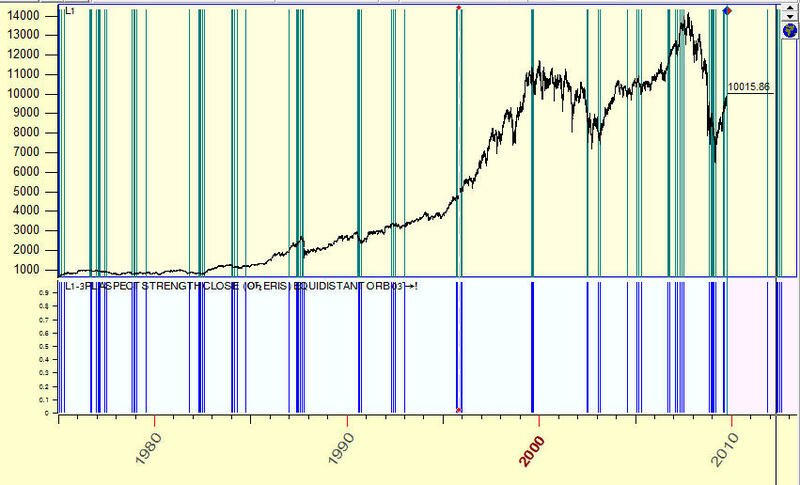 You can do the research of major market events together with TRISPECTS in regards to ups and downs together, or ups only, or downs only, or ups/downs for a specific amount of points, etc. See how many things have to be explored?